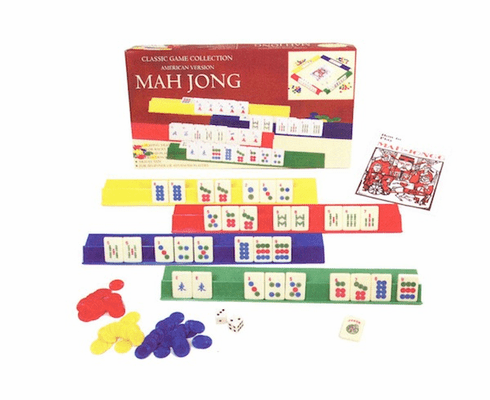 Mah Jong is a traditional game played with bright colored tiles that is easy to pick up, yet still challenging. This version is the american version and includes 166 tiles, 4 color racks, 2 dice, playing chips and instructions. Perfect for both beginning and advanced players.